# OF GAMES: Over 900, according to Wikipedia. Sega’s Mark III/Master System was considerably more successful than their first console, the SG-1000, but this success still paled in comparison to the Famicom/NES behemoth. Nintendo’s first console was an unstoppable force in both North America and Japan, and Sega had to make do with market scraps- as they had done ever since launching the SG-1000 in 1983. In 1986, almost immediately after the release of the Master System, Sega set to work developing a new console. This might seem rash or sudden, like Sega was jumping the gun, but up until this point the company had always been a step behind Nintendo. The SG-1000 launched on the same day as the Famicom in 1983, and while technically an 8-bit system, the games looked like Intellivision titles. Top Famicom ports like Donkey Kong and Popeye looked and played remarkably similar to their arcade counterparts. The SG-1000 had… Borderline. Nice for 1980, confusing for ’83. The Mark III/Master System, released in 1985, was slightly more powerful than the Famicom. Colorful graphics aside, though, the system offered games far inferior to Nintendo’s selections, despite the occasional gem shining through the shrug pile. By ’86, the Famicom’s grasp on the home console market was so tight, Sega couldn’t break in, despite its best efforts. Sega’s arcade business, however, was doing gangbusters. The company was having hit after hit with Space Harrier, After Burner, Shinobi and OutRun, among others. The Master System had ports of all these games, but none of them came close to the quality of the arcade versions. This was to be expected from an older 8-bit console, but the question within the company soon became: what if Sega could produce perfect arcade ports? They would need a stronger console, one that could accurately replicate, at the very least, Sega’s System 16 board. Enter ‘Mega Drive,’ Sega’s 16-bit console, and the first 16-bit console to hit the market when it debuted in Japan on October 29th, 1988. 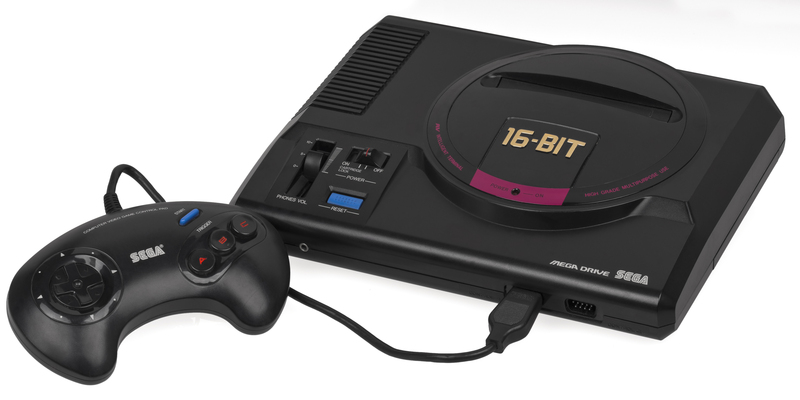 According to then-Sega CEO Hayao Nakayama, ‘Mega’ meant superiority over rival machines and ‘Drive’ represented the speed of the console’s 16-bit Motorola 68000 processor. The system launched with two titles, Space Harrier II and Super Thunder Blade, and retailed for 21,000 yen, which translates to about $170 in 1988 and $340 in 2015. Despite positive coverage from Famitsu, the Mega Drive only shipped 400,000 units its first year. There have been many speculations as to why the Mega Drive sold less than the Mark III in its first year (Mark III sold a million, according to Sega Retro). The two biggest reasons likely were: the release of Super Mario Bros. 3 for Famicom only six days earlier and the lack of third-party developers in Sega’s court from the get-go. The first reason is just sad. Sega should have changed the release date just to allow SMB3 some breathing room; perhaps unchecked pride for their system got in the way. The second reason makes too much sense, particularly in Japan where both Nintendo and NEC had an iron grip on the majority of third-party developers. Remember, Sega singlehandedly supported the Master System, with up to 95% of the games being released developed/ported by Sega themselves or with close associates, Compile. Sega could support the Mega Drive for awhile with arcade ports and quick genre fixes like shoot-em-ups or mahjong titles. Due to increasing development time for games, however, they needed partners if they were going to maintain a varied lineup. 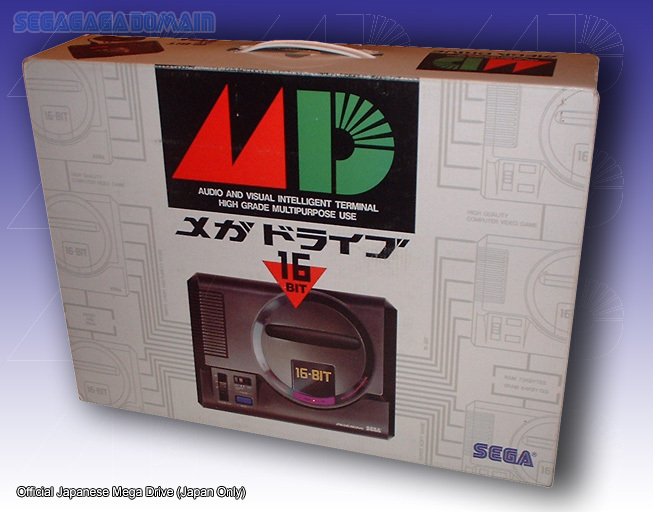 Unfortunately, Sega never gained traction with the Mega Drive in Japan. Despite the advanced age of the Famicom, the system remained the number-one selling console for 1988 and ’89. Competition from NEC’s fantastic PC-Engine didn’t help matters nor did the Super Famicom’s eventual release on November 21, 1990. The Super Famicom took over the role of best-selling console from the Famicom and would go on to dominate sales charts, as its predecessor had done for years prior. Unfortunately for Sega, Nintendo kept most of their best help – Capcom, Konami, Square, Enix, Tecmo – to themselves, for the most part. 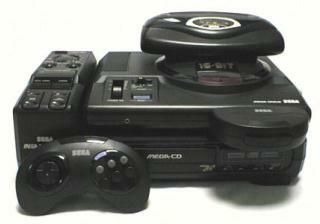 The Mega Drive remained in third place in Japan until Sega finally discontinued the console in 1995. Third-parties eventually came to Sega’s aid, but only after Sega’s North American launch. Due to a trademark dispute with a computer storage company, the ‘Mega Drive’ was renamed the Genesis and launched in North America on August 14th, 1989. 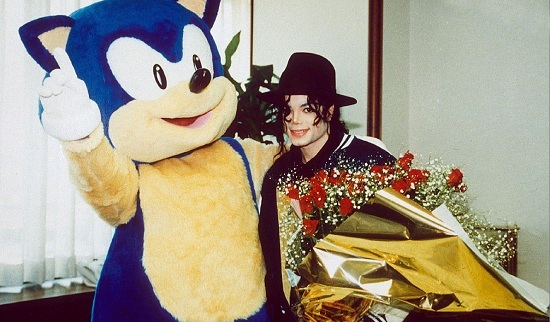 Rather than let the Genesis languish as they did with the Master System, Sega marketed their new console aggressively with the now-infamous slogan, “Genesis Does What Nintendon’t.” They also focused on how arcade-perfect many of their games looked and created a number of games sponsored by celebrities, including Michael Jackson’s Moonwalker. The Genesis sold at a steady pace in America. Not enough to topple the NES, but at a better rate than the Master System. The Genesis really took off, though, when Sonic the Hedgehog launched on June 23, 1991. Created as a counterpoint to Nintendo’s Mario, Sonic was everything Mario wasn’t: fast, hip, and edgy. 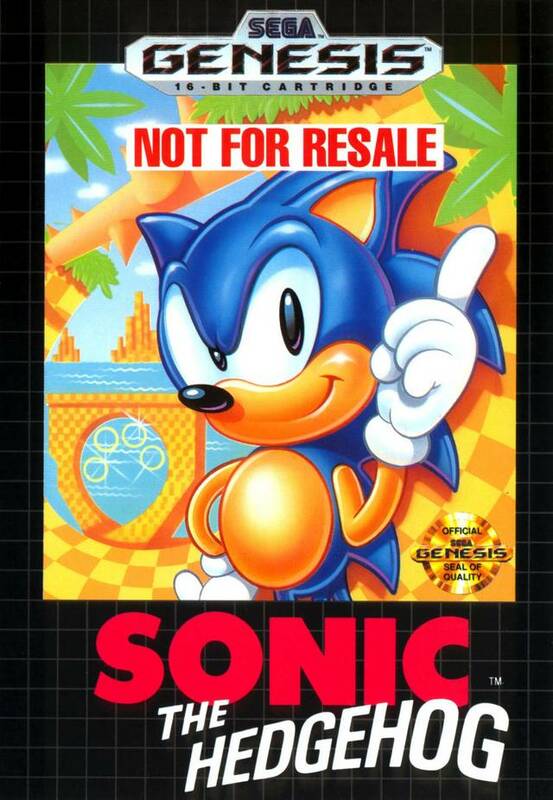 Sonic’s snarky attitude clearly fit with the Genesis, which catered to an older demographic than the NES. But it wasn’t just the character that was cool. Sonic’s first game was a fast-paced respite from all the belabored Mario clones. The quality of Sonic the Hedgehog coupled with the brilliant character design helped Sega sell millions of consoles. By January 1992, Sega’s Genesis had a 65% market share over the just-released Super Nintendo. Sega had toppled Nintendo. 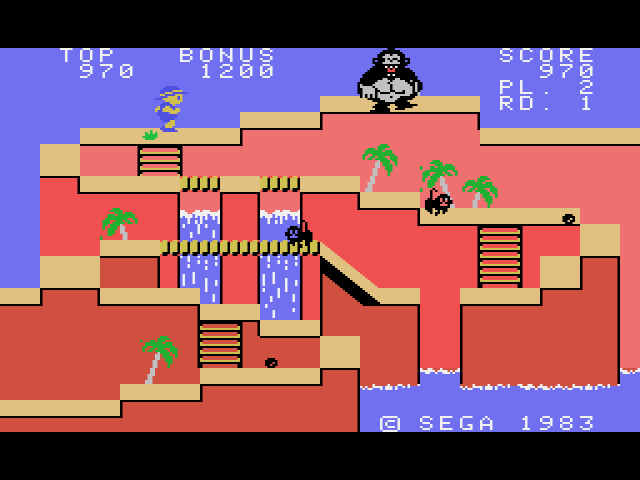 Sega maintained a dominant hold on the 16-bit market until 1994 when Donkey Kong Country melted faces with its pseudo-3D graphics. The SNES took charge, sales-wise, and never let up for the rest of either console’s lifespan. One could argue, however, that even before Nintendo’s resurgence, Sega had already lost the plot. By late 1994, Sega was supporting the Genesis, the Game Gear, the Sega CD, the 32X, and was about to release the Saturn. Consumers may have fell in love with Sega and its flagship hedgehog, but this greedy cry for our superfluous Clinton dollars was too much for all but the diehard fans. I’m exhausted just looking at this thing. 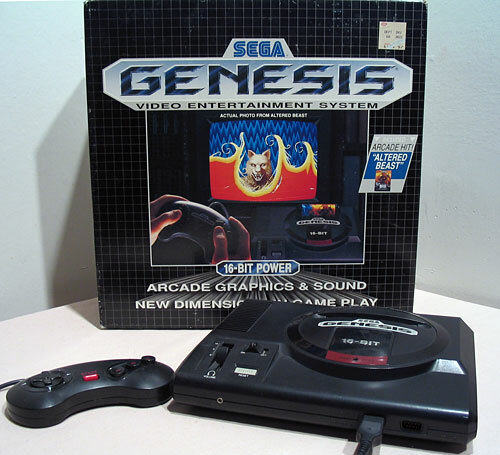 Despite consumers’ declining interest in Sega as a company, the Genesis remained popular until its eventual death in the late ’90s. Sega kept interest in the Genesis alive with the Genesis II, a smaller, lighter re-model, in 1993. 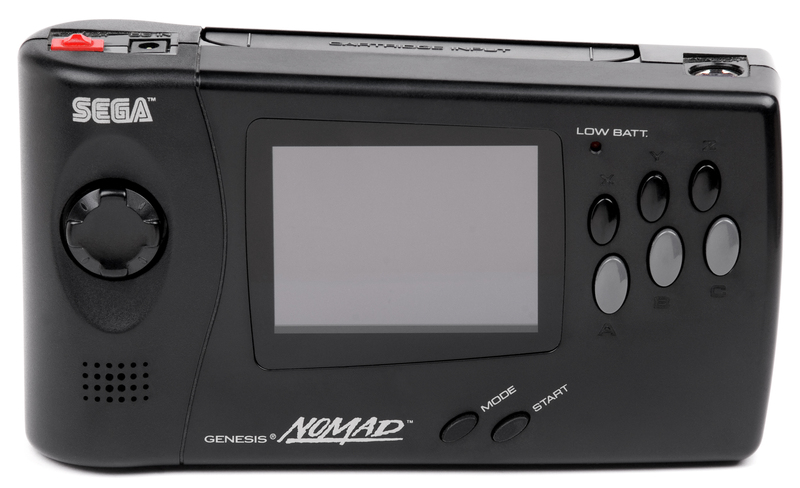 The Nomad was essentially a portable Genesis and could play all the console’s games, presuming you had enough batteries to power the thing. Majesco, a third-party, even released the Genesis 3 in 1998 for the budget price of $50, almost nine years after the system’s initial release in America. Thanks to the previous success of the Master System in Europe, the Mega Drive found great popularity there, as well, when it released in most regions in September of 1990. The almost two-year timespan between the European release and the Japanese release meant the system had built a steady library of games. By the time Sonic launched on June 23rd, 1991, the Mega Drive was Europe’s 16-bit system of choice. The territory wouldn’t even receive the SNES until late 1992, and by that time, the people’s billfolds had already spoken. While the Master System and (to a much lesser extent) the SG-1000 had some decent games in their library, the Mega Drive/Genesis had an insane treasure trove. Not only did Sega bring over the majority of their arcade titles released in the late 80s/early 90s, they also developed a partnership with Electronic Arts, resulting in some of the best sports games of the 16-bit era. Mortal Kombat‘s Genesis version was heavily favored over the SNES version, due to the code that let you change white sweat into ‘red sweat.’ Then there’s the Streets of Rage trilogy, Phantasy Star II and IV, Vectorman, Comix Zone, Toe Jam & Earl and Panic on Funk-o-tron, Shining Force 1 and 2, Kid Chameleon, Herzog Zwei. Contra, Castlevania, and Teenage Mutant Ninja Turtles all saw Sega-exclusive entries. The Mega Drive has one of the best libraries in all of gaming, and it will be my absolute pleasure to go through them all. No Sega console would be complete without a ton of peripherals, most crap, with only the occasional burst of creative genius. The Power Base Convertor allows you to play Master System games on the Mega Drive/Genesis, thanks to the Master System’s processor and sound chip being included within the 16-bit console. Unfortunately, this Convertor only worked with the initial Mega Drive/Genesis units. Any later hardware revisions were unable to use the Convertor (at least legally). Sega also released the light-gun Menacer, an answer to Nintendo’s equally ridiculous Super Scope and about as useful. There’s the Activator, an octagonal ring that sat on the floor and allowed you to input in-game movements with your body instead of a controller. 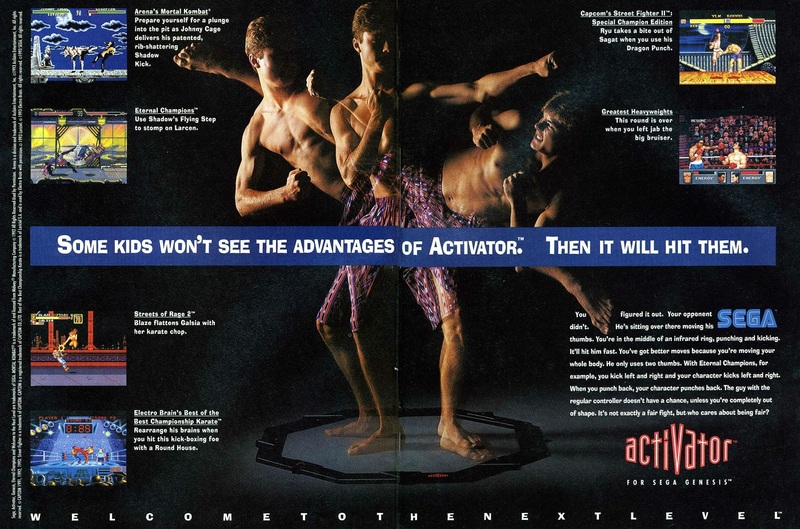 The Activator was made when fighting games ruled the earth. Street Fighter II: Championship Edition and Mortal Kombat both supported the device, but that doesn’t mean the peripheral could read your hilarious attempts at Hadoukens. Inaccurate and overpriced, the Activator had a mercifully brief life before being damned to Toys ‘R Us clearance sections. I wonder where these flickering triplets are today. The Sega Channel stands alone, more prophecy than peripheral. 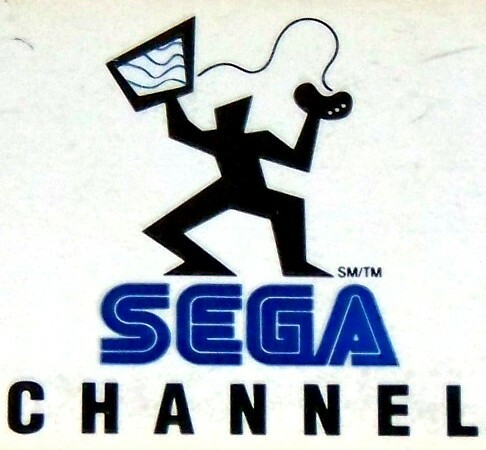 Somewhat modeled after the “Sega Meganet,” which debuted in 1990 in Japan and allowed players to play games online, the Sega Channel was a service offered in partnership with Time Warner Cable in 1994. With a subscription fee and special adapter, players could choose to play from a list of 35-50 games using their cable providers. Players would choose a game, download it to the console’s internal memory, play it, then when the console was turned off, the game would be deleted from the console. The service was forward-thinking and expensive for its time – $15/month plus $25 activation fee. Then again, you could play a wide variety of Genesis games, including some like Mega Man: The Wily Wars that never came to the U.S. And considering game rentals were between four and five dollars for a few days, the Sega Channel would more than pay for itself if you played a lot of titles. The Genesis changed Sega’s fortunes and, arguably, their souls. No other system would be as profitable for the company as the Genesis. Massive sales came from their brilliant early 90s marketing campaign, Sonic’s release, and a plethora of excellent titles found only on the system. Sega, however, seemed to believe that creative marketing and fantastic games were not enough, and that consumers wanted newer, better technology all the time. 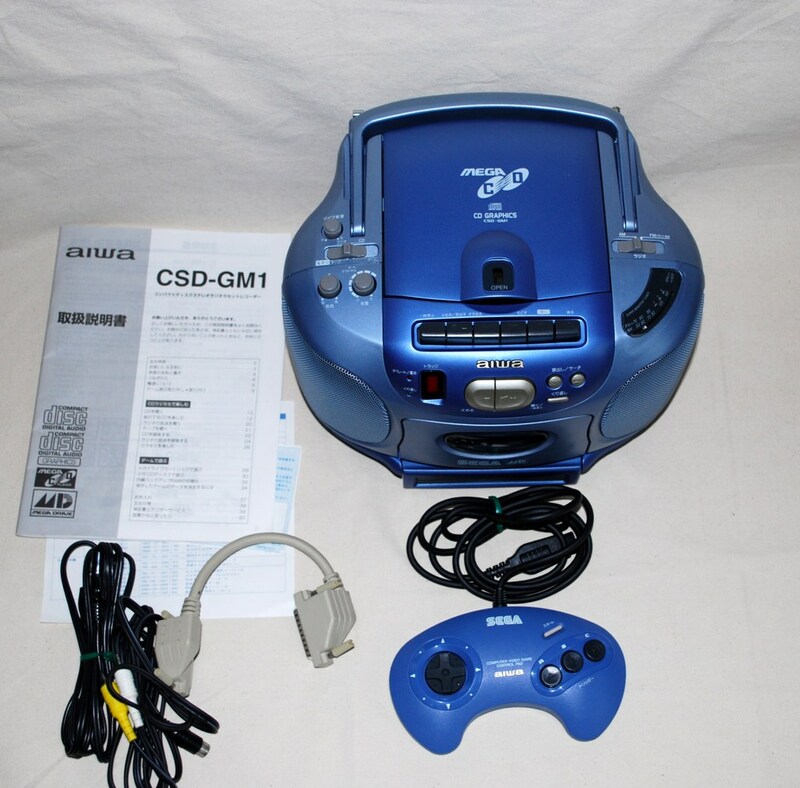 Rather than supporting the Genesis with good games until its natural end, they flooded the market with add-ons, ruined consumer goodwill, and destined the Saturn – the Genesis’ true follow-up – to be met with indifference, if not outright disdain. And yet, few gamers would argue that the Mega Drive / Genesis remains one of the company’s crowning achievements. Not even Sega’s questionable business decisions could ruin the console’s legacy. *thanks to GameFAQS, Wikipedia, TechnoBuffalo, SegaGagaDomain, OC Weekly, and ScrewAttack for these pictures/gif. Or the Teradrive a Mega Drive computer. Segas version of the Playchoice 10. The arcad Mega Tech and Mega Play systems. The many foreign officially officially liscenesed Mega Drive consoles to numerous to mention. And of course the JVC Wondermega/ X eye. The Mega Drive actually was a beast of a console that took years to tap the full potential out of with later games blowing away earlier efforts. It’s high main processor clock speed and power actually made fast action games and specifically shooters much more suited to the platform than other contemporaries. It hadhigher resolutions than the SNES. Well the SNES had a higher resolution that could only be used for menus, and could never and never was used for actual gameplay. The Genesis actually had many games run in its high res modes.I think the weak spot of course is the graphics processor. While fine in 1988. The lack of colors really hurt it against competition later on. Even the CD and all the power it gave the system was still hamstrung by its color pallete. The Mega CD was far more powerful than the turbo cd put because of the increased colors the turbo cd games often looked nicer. Despite being older and less powerful tech. Only with the 32X did they overcome this, but that’s a story for another day I guess. What’s that rectangular thing to the left of the Genesis in the photo of the totally decked-out Genesis? I recognize everything else in the photo except that. I was always a Nintendo kid, so I think I’ll enjoy your digging into the Genesis library. Should be fun! Excellent write up Dylan. I always wondered why they called it Genesis across the pond and now I know. Ah it takes me back. Where I am from everyone had a Mega Drive. I had two friends who had a SNES (and I ended up marrying one of them – I do mean wife not civil partner or anything. Just saying) and as I told you on Twitter I am now exploring what I missed out on. First thing I will say is SNES definitely had the best controller. It is just so comfortable compared to Sega’s 3 button “Batwing”. As for games I haven’t played enough to make a comparison. I could list loads here but there were some turds as well. I never understood the appeal of Altered Beast. My mate had it and loved it but I thought it bland. As for peripherals I only ever bought the Competition Pro 6-button pad which had auto fire and slow-mo (which literally just hit pause on and off continuously – bloody annoying). Being the naive kid that I was I expected to just plug the pad in and have extra working buttons but it never worked and I felt a bit disappointed. Years later and thanks to the internet I found out I had to program the extra buttons and that wasn’t too bad then. For fighting games it was ok because you could program moves in to them. So sorry to know that I wont be listening to you and Sam discuss this anymore. I sense we were very different people but nevertheless I still wish him all the best and will miss the podcast. I will knock together a Sega Does Mega Drive box art to celebrate the arrival of the Blast Processing glory of 16-bit. Hey Tony, thanks for reminiscing! I too loved my Genesis back in the day, though I severely disliked the 3-button controller. My small hands (I was six when I got the Genesis) never felt right with it, but later when the 6-button pad came out, that was leagues better. The Genesis-only games – many of which you listed – were great, but I always felt bad for Genesis owners when both the Genesis and SNES got the same release. The SNES release always looked and sounded better. And yes, I agree, the SNES pad is aces. I’m bummed that Sam and I won’t be discussing the Genesis, among other upcoming titles and systems, but I definitely understand his viewpoint. Life is hard and sometimes you have to downsize for your own sanity. I would love to see that Mega Drive box. Thanks so much, my friend. I notice that everyone is really excited about entering the Mega Drive area. But lest not forget that a lot of great Master System games are ahead of us! Also in the case of game titles that saw dual releases, The MS iteration was not always necessarily a downgrated version of the MD one! The Sonic games and “Castle of Illusion” immediately come to mind as original and great MS ecperiences! Definetly. Actually almost all of the 1989 SMS games came out in the U.S. Prior to the Genesis releasing here. So I actually had a lot of them. I want to say the last SMS game I bought was Time Soldiers. In Truth I’m really looking forward to the post Genesis SMS releases as I’m not really familiar with a lot of them. Just like the NES had a lot of late post 16 bit releases, so did the the SMS. I actually played more late NES games because I got a used NES in 1991 or 92 and rented a lot of games for it. But sold my SMS to buy a Genesis.